Taxes Over? How Does Your Income Stack Up Against Your Fellow Americans? Occasionally my wife will comment on how our house is smaller than our friends’, we drive older cars or whatever. As corny as it starts to sound to her, I always remind her that we’re actually better off than most Americans. And most Americans are better off than the rest of the world. So in essence, as far as humankind is concerned, we’re doing pretty damned well. And then she says something like, “yeah but our house is still small” LOL. Anyway, if it makes you feel any better, perhaps by seeing how you stack up against your fellow Americans when it comes to income, there are a few tools out there that can do the trick. The Wall Street Journal has a nifty calculator showing where you rank (in the context of the 99% vs the 1%) so if you’re curious what it takes to be in the top 1%, it’s about $506,000. 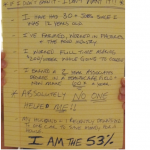 And if you’re one of the 53% who actually pay Federal Income Taxes, share your story there too. For the rest of us mere mortals, it’s still fun to find out where you rank and perhaps provide a goal to reach for the next echelon. How Do You Feel About Where You Ranked? I don’t really care how I rank (82%), although I checked. 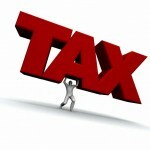 I am happy with my position, although I would like to pay less in taxes. I am working on that! I ranked 47% , darn I am poorer that those who make more than me, have better education or have worked hard to get there. Ummm… Time to join the Ocuppy Wallstreet Movement and claim my share of somebody else hard earned money. Perhaps instead of doing that I will work harder, improve my education , my skills and my value for Employers, which given enough time will put me on a higer rank. I will create other sources of income and make finabcially wise decisions; no big house, no new car, no vacation in Hawai (yet). Definetevely will go with option number two, complainers never had achieved greatness. So I will work hard for my personal greatness. Just to be an advocate for the 47% who pay no Federal Income taxes, they’re also tax slaves through various excise and consumption taxes, at all levels of government. I’m pleased to see that I’m at least a little above the average joe. Honestly, I think it’s more productive to compare net worth. I know several people who I’d deem “better off” than myself, but make less per year because they are debt free. There are definitely times where earning more money doesn’t trump cash flow.